We here at PlayStation LifeStyle love giveaways, and so do our friends at Lockwood Publishing. That’s why we’ve teamed up with them for a massive Sodium2 giveaway for both North America and Europe. We’re also going to give you a bunch of different ways to win your code, but if you’re a fan of Sodium and Lockwood, make sure to read our extensive interview with Jamie Riding! RT @PSLifeStyle @SodiumUniverse Sodium Giveaway (US #PSN) – http://bit.ly/om7HhY – retweet and follow to win! 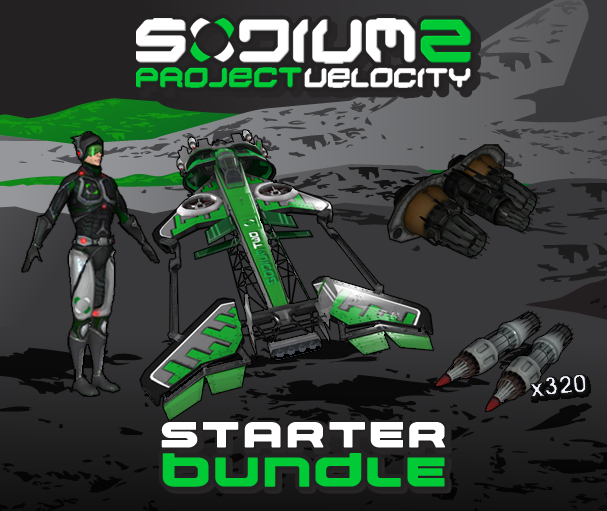 RT @PSLifeStyle @SodiumUniverse Sodium Giveaway (EU #PSN) – http://bit.ly/om7HhY – retweet and follow to win! For Facebook users, all you have to do is head over to our Facebook, like us and reply to our post saying whether you want a US or EU code. And then, if you’re not a fan of social media sites, we’ll also give away 10 codes to commenters of this post – just make sure to mention your region. The giveaway will end midnight Friday, Eastern Standard Time. Like giveaways? Come back later tody for a giveaway you wont be able to Resist. The competition is now over – check your inboxes/facebook/twitter to see if you’ve won!